I am thrilled to host Paddy O’Reilly at Book’d Out today. 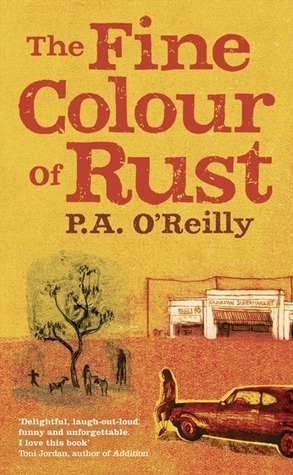 Paddy O’Reilly’s latest novel, The Fine Colour of Rust, will be released in March, 2012 in Australia, the UK and the USA. The Fine Colour of Rust is a wryly funny, beautifully observed, life-affirming novel about friendship, love and fighting for things that matter. I was charmed by the protagonist, Loretta Boskovic, a single mother living in the tiny town of Gunapan, Australia and gave the novel a five star review. 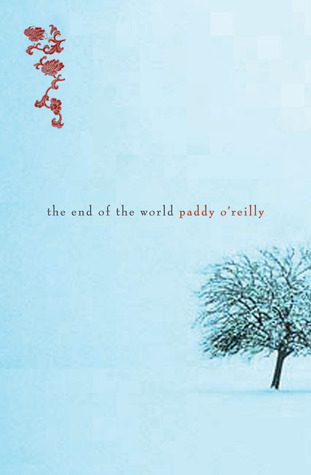 Paddy’s short story collection, The End of the World (UQP) was released to critical acclaim in April, 2007. The stories in the collection have won a number of national and international story awards including ‘The Age’, the ‘Judah Waten’, ‘Zoetrope All-Story’ (USA) and the Commonwealth Broadcasting Corporation (UK). The End of the World was chosen as one of the year’s best books in various publications from Australian Book Review to The Financial Review. It was shortlisted in the Queensland Premier’s Literary Awards and commended in the Victorian Premier’s Literary Awards. Her debut novel, The Factory, was also in the best books of the year lists in Australian Book Review and the Sydney Morning Herald and was Highly Commended in the FAW Christina Stead Award for Fiction. 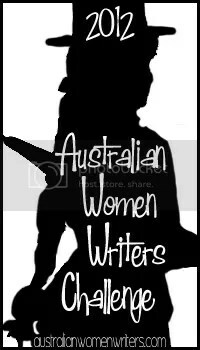 It was broadcast in fifteen episodes as the ABC Radio National Book Reading during July 2009. Her novella ‘Deep Water’ was published in 2007 as one of four in the novella anthology, Love and Desire. She has also written screenplays and worked as additional screenwriter for films which have been nominated for AFI awards and screened nationally and internationally. Paddy has been Asialink writer-in-residence in Japan, a fellow at Varuna: the Writers’ House, writer-in-residence at Kelly Steps Cottage, Tasmania, and The Lockup, Newcastle, presenter and reader at the International Conference on the Short Story in Toronto and a full fellow at the Vermont Studio Center, USA. Paddy spent several years working as a copywriter in Japan. She now lives in Melbourne, Australia. My stories and books have been set in places all around the world, some taken from life, some invented. Each setting presents its own writing challenges, and several have been to do with the language of the place. The Factory is a novel set in an arts colony on a mountain in Japan. One of the first decisions I had to make was dealing with dialogue. On the mountain, my two Australian characters were speaking English between themselves and Japanese to the native residents. The Japanese obviously spoke Japanese to each other. Sometimes, one of the Japanese characters would slip into English to say something to the Australians that he didn’t want his fellow Japanese to understand. The text of my book would all be in English, but how could I make clear, without mentioning it each time, which language was being spoken? Looking through other books with a similar conundrum, I found that some authors wrote the non-English dialogue in a kind of broken English. That seemed a very unsatisfying way to handle the problem, as it made the location’s native speakers sound like they were in the wrong country. I thought that if you were going to use that technique, you should at least make the English speakers the ones unable to put a sentence together grammatically, since they were speaking the foreign language. Another solution some authors tried was giving the non-English speakers a kind of patois – grammatically correct but spiced up with occasional words and phrases from the language of the location. Again, it seemed awkward, non? Then there was the attempt to use the syntax of the location language in the dialogue. ‘But, signor, your automobile, she is broken!’ which made me feel like I’d landed in an episode of Fawlty Towers. In the end, my solution was the simplest. Trust the reader. I left the dialogue as natural speech. If I felt there was ambiguity I would tag the line of dialogue with a hint of the language used, but I soon discovered that I hardly needed to do that. Readers are smart. They figure this stuff out. My latest book, The Fine Colour of Rust, is set in a small country town in Victoria. I’d done the hard research, having lived in Warburton and Ballarat, driven around the state several times, and also spent a lot of time on a bush block in a tiny hamlet in Golden Plains Shire. My protagonist, Loretta, originally comes from Melbourne, but she’s been living in Gunapan long enough to pick up a hint of the local drawl. One of the original residents is her best friend Norm, the old junk man, who has been speaking Gunapan-style all his life. I had no intention of creating some hokey country lingo, or a Henry Lawson feel. Yet I did want to capture that laconic pace you encounter in small country towns: the half-finished sentence that only an idiot wouldn’t understand; the silent dialogue between blokes expressed in shifts in the position of the feet and a bit of carefully timed nodding; the sudden smart comment that snaps past you like a whip crack; the exasperation at the state of the world bubbling through the pretend couldn’t-care-less attitude. I found as I wrote the dialogue for these characters that, again, the writing process itself helped me to understand my characters better. Through their dialogue they came alive. Norm is the kind of bloke who plays everything down. In his parlance, a Level 6 cyclone would be ‘a bit blowy’. A partly severed finger would be a ‘scratch’. The other day I met a man from Queensland who used that kind of understatement. I was commiserating with him about the floods. Interesting how the dialog and different speech was tackled. Lovely interview. I find the question of dialogue in books endlessly fascinating. An interesting one is Cormac McCarthy, who in his earlier books seemed to be inventing his own vernacular.